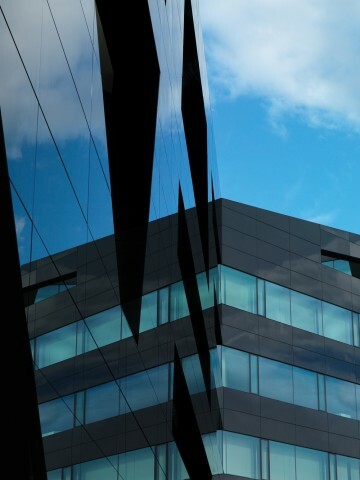 The unmistakable appearance of glass fascinates and offers the finest of all possible facade finishes. For any specifier, the aesthetic of a building is a key consideration. However, it is clearly also important that the building fabric is weather-resistant, helps thermal performance and keeps interiors warm and dry. StoVentec Glass rainscreen cladding systems offer this and more. Sto uses RAL colours as the standard colour system, but the company can match any colour a client requires in its laboratory. Once chosen, the colour is applied to one side of the glass before it is toughened. By using 6mm glass panels rather than a thicker alternative, the system remains extremely lightweight and therefore quick and cost effective to install. StoVentec Glass panels can be curved, screen printed and custom made to any size or shape. They can be installed inside or out. 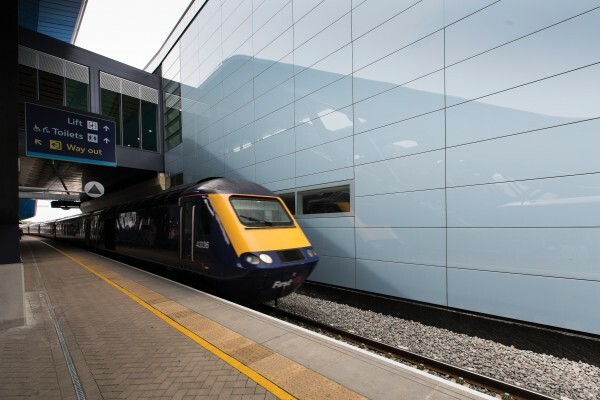 With the StoVentec Glass rainscreen cladding system the wall effectively 'breathes'. The outer leaf resists climatic conditions whilst the inner leaf provides thermal insulation. The ventilated cavity between the mineral fibre insulation layer and the StoVentec, lightweight, glass-bonded carrier board (made from 96% recycled glass) allows a continuous exchange of air, discharging moisture and keeping the building structure dry. A Sto-designed, metal sub-construction, made from stainless steel to reduce cold bridging, is used to fix the system to the substrate, transferring wind loading to the structure. There are no visible fixings. In addition to glass, Sto rainscreen cladding systems can be finished in natural stone, creative renders or solar photovoltaic (PV) cells. A striking structure using glass rainscreen cladding is building 'MP09' located in Graz, Austria. It's the headquarters for Uniopt Pachleitner Group, an innovative eyewear and jewellery company. Nicknamed the 'Black Panther' by designers GSarchitects, the brief was to construct a landmark building which reflected the products the company designs, as well as its culture and philosophy. From the start, GSarchitects wanted a protective glass system to characterise the nature and purpose of their client. To achieve the sculpture-like aesthetic with dynamic sharp edges and imposing angles, the practice opted for a StoVentec Glass rainscreen cladding system. This allowed for a pure black glass finish providing all the functional and aesthetic design elements they required. The result is a beautiful, six-storey statement building which currently dominates the surrounding skyline. Grimshaw Architects specified some 1,200 m² of StoVentec Glass as part of a major refurbishment to Reading Railway Station. Here the StoVentec Glass was fixed to the existing concrete substructure to produce an immediate and dramatic improvement in the visual appeal of the main passenger circulation areas. Project architect Nick Hawkes points out that aesthetic considerations were the starting point for the specification: "It was really important to get the colour absolutely right. We specified the RAL colour and Sto was able to match it precisely and consistently." The glass covers a massive area and the smoky grey colour chosen gives a contemporary monolithic appearance that is slick and quietly emphatic.